A woman aboard a train travelling through space, the Orient Express, claims to be attacked by a mummy that no one else can see. The attack kills her. The Doctor has brought Clara on board the train, which is a recreation of the original Orient Express, as one last hurrah now that she has settled down after her falling out with him several weeks prior. The passengers are all dressed in period attire. The Doctor and Clara retire to their respective cabins for the evening. Clara calls Danny to get advice on her relationship with the Doctor. She sneaks out to speak to the Doctor, but he has already snuck out of his cabin to begin investigating the murder. The Doctor meets the chief engineer of the train, Perkins, who is also suspicious of the death. Clara encounters Maisie, Mrs. Pitt's granddaughter, who is still upset over her grandmother's death and the fact that she is not being permitted to see the body. Maisie gets a door open by jamming her shoe into it and Clara follows after her. The Doctor meets Professor Moorhouse, who tells him about the myth of the mummy that is being transported on the train. It has been said that when the lights flicker, the mummy will claim a victim 66 seconds later. The lights do flicker and the Doctor tracks the time and confirms the myth when the train's chef is killed in a manner much like Mrs. Pitt. Clara and Maisie get locked in the luggage car where the mummy's sarcophagus is being stored. When the Doctor learns of their predicament, he tries to rescue them. During his rescue attempt, the lights flicker and the sarcophagus begins to open. Captain Quell and his men arrest the Doctor for his false credentials and after 66 seconds, one of the Captain's men is found dead. With this third death, the Captain agrees to let the Doctor do his work. The Doctor has grown increasingly suspicious of the trip and its passengers. Most of them are scientific experts and he wants to know who is behind this. The train then stops in space, and the illusion of the Orient Express disperses to reveal a laboratory. Several of the passengers also disappear. The train's computer, Gus, instructs them to carry on studying the force behind these attacks so its power may be reverse engineered. The lights flicker and Professor Moorhouse quickly describes as many of the features of the mummy as he can before he dies after 66 seconds. The Doctor calls Clara, who relays her findings. The sarcophagus is designed to be a containment unit for this force, and this isn't the first attempt that the controlling force of this laboratory has made to learn the nature of this force. Multiple ships and crews have been lost to similar attempts. Gus forces the Doctor to end his call to Clara and return to work by decompressing the air from the kitchen car, which kills the staff members inside, with a threat to kill other less valuable passengers if he doesn't stay on task. The Doctor demands full histories on the victims to determine why and how it chooses who to kill. It is discovered that the mummy targets the weakest victims, be they suffering from physical or psychological issues. Captain Quell becomes concerned, admitting to the Doctor that he suffers from PTSD. The lights flicker and Quell sees the mummy. He begins to describe the mummy and its actions, which provide the group with enough information to determine that the mummy drains the victim's energy through phase shifting. The Doctor believes Maisie will be the next victim, due to the trauma she faced from losing her grandmother. He tells Clara to bring her to the lab, and has Gus unlock the storage door. On the way to the lab, Clara notices a force field protecting the TARDIS. Clara asks the Doctor about this and the Doctor admits that Gus has been trying to get him there for a while now and Clara becomes angry that the Doctor has deliberately led them into a dangerous situation. The lights flicker and Maisie sees the mummy.The Doctor absorbs some of Maisie's memories to make himself the target instead. Within the 66-second time frame, the Doctor determines that the mummy was a soldier in a war thousands of centuries ago and was modified with phase-shifting camouflage to be an assassin. The Doctor offers the groups surrender, and the mummy stops its attack. It becomes visible to everyone, disintegrates into dust, leaving only its phase-shifting device. Gus congratulates the passengers on their success but then begins to evacuate the air from the train. The Doctor rewires the device into a short-range teleporter, rescuing all the remaining passenger onto the TARDIS before the train explodes. Clara wakes on a nearby planet to find the Doctor explaining what has happened. The train had exploded because he tried to hack Gus to find out who was behind everything. Clara realises the Doctor was pretending to be heartless in order to hide his plan from Gus. The Doctor offers Perkins a job to maintain the TARDIS, but he declines the offer. Clara gets a call from Danny, who expects this is the end of her adventures with the Doctor but when she ends the call, she is ready to keep going with the Doctor as long as he'll keep her safe and get her home on time. 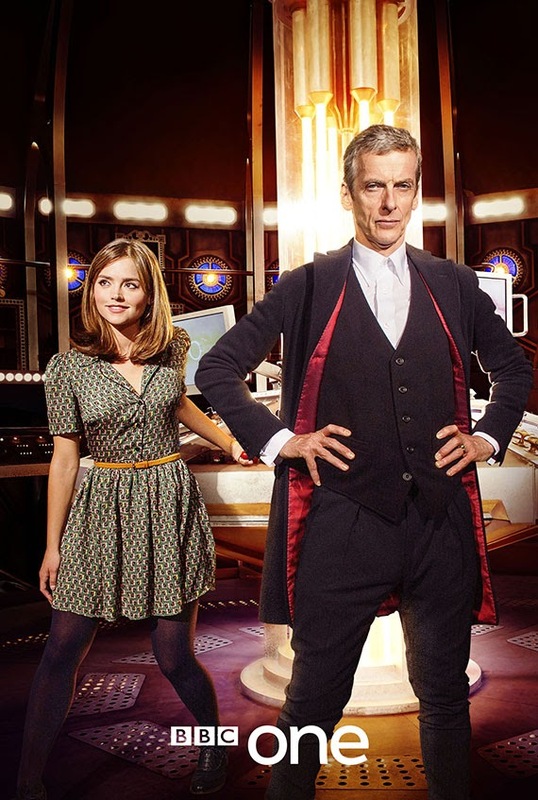 Doctor Who airs on Saturdays on BBC One.